Shelia Oline Hood, 69, passed away Monday evening, March 18, 2019 at Mercy Regional Hospital in Springfield, Ohio. She was born August 5, 1949 in Alabama City, Alabama. A graduate of Piqua Central High School, Shelia served as a Marine soon after graduation. Her interest and training in electronics prompted her employment at Texas Instruments in Texas for several years. 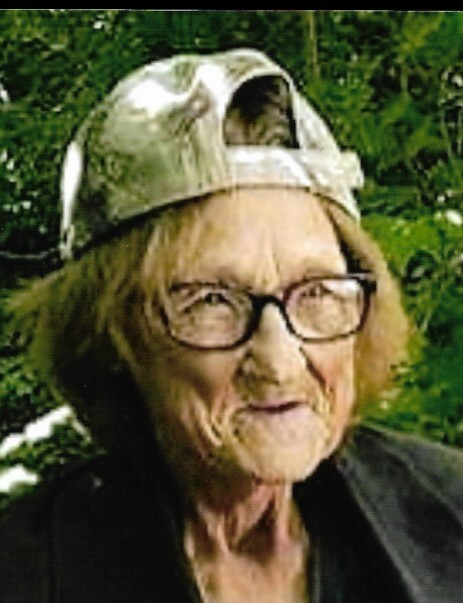 Shelia loved cookouts, spending time outdoors and dogs. It was common to find her in a rocking chair reading, which was another one of her passions. Shelia leaves to cherish her memory, two sons, Shawn Hood (Gayle) and Richard Hood both of Springfield, Ohio; three brothers, Steve Ellis (Maria) of Riviera Beach, Florida, Tom Ellis (Fran) of Middletown, Ohio, and Tim Ellis (Debra) of Greer, South Carolina; nine grandchildren and three great grandchildren; two aunts, Martha (Williams) Dillard (husband - John) and Patricia Williams; and one uncle, J.D. Williams (Lois); and a host of loving nieces, nephews, cousins, and friends. She was preceded in death by her parents, Billie D. and Louise (Williams) Ellis, formerly of Piqua, Ohio and later of Gadsden, Alabama. Visitation will be held Saturday, March 23, 2019 at 1:00 p.m. in the Jerry W. Kinley Funeral Home Chapel, 1307 East High Street, Springfield, Ohio 45505. A Memorial Service will follow at 2:00 p.m. Burial will take place in Gadsden, Alabama in the Crestwood Cemetery at a later date.